Easily track, store, and report on chemical and pesticide usage. Many jurisdictions require that chemical and pesticide use be tracked and stored for up to seven years—Jobber has you covered. 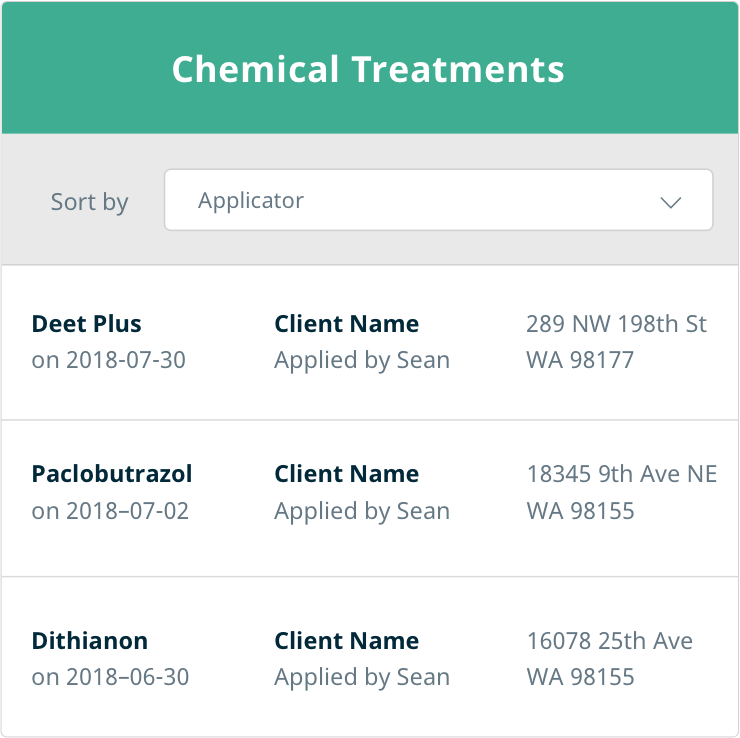 Capture this information within a job, client, or property file, and when you need to report on your usage, you can download your company’s entire chemical application history. No more searching and scrambling. Chemical tracking is easy to do, and you know where to find the information when you need it. 14-days free. No credit card required.